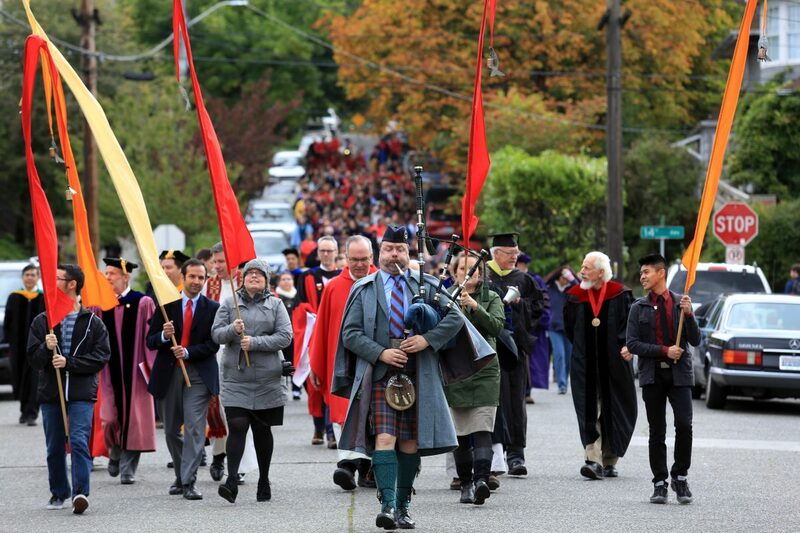 Tyrone Heade leads annual mile-long procession opening studies at Seattle University, 2017. 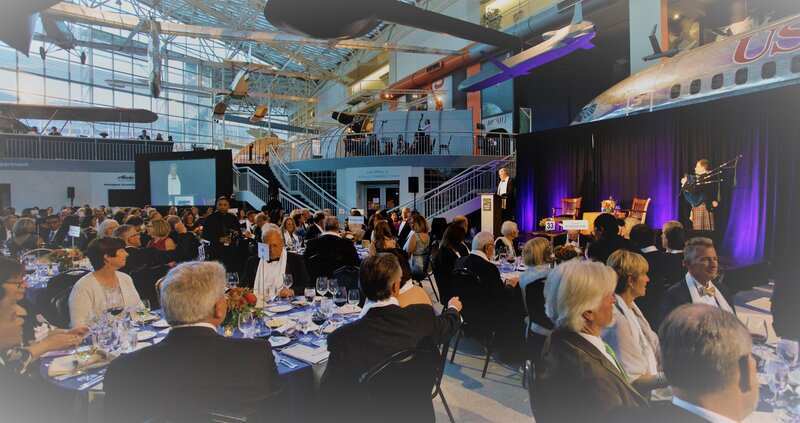 Far Right - Tyrone waits for an astronauts procession, Seattle's Museum of Flight, 2018. 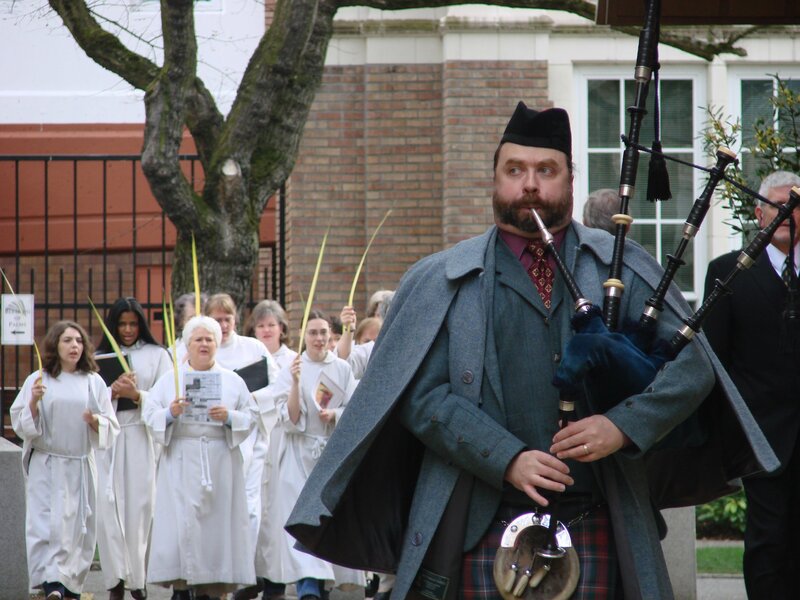 Pipe-Major, Cathedral Piper leads Tyrone Heade the Choir of St James Cathedral, Seattle, shortly before winning Glasgow's 2009 World Solo Amateur Championship (Piobaireachd). Tyrone won the Championship playing his Grandfather's pipe, shown here. Tyrone Heade performing on Grandpa's pipes, 1900 Lawrie drones & chanter, A=440 with Yakima Symphony, 2014. 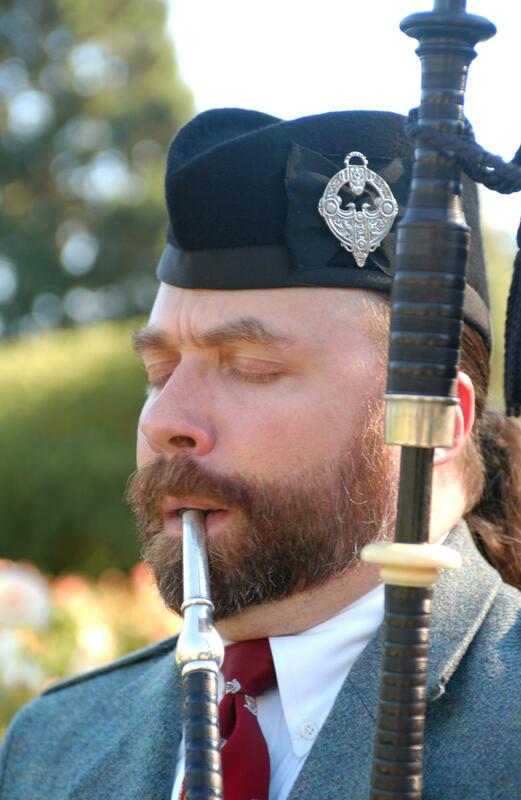 I’m Tyrone Heade, a full-time bagpipe musician in Seattle, and Seattle’s Cathedral Bagpiper in Residence since 1990. It’s my passion. 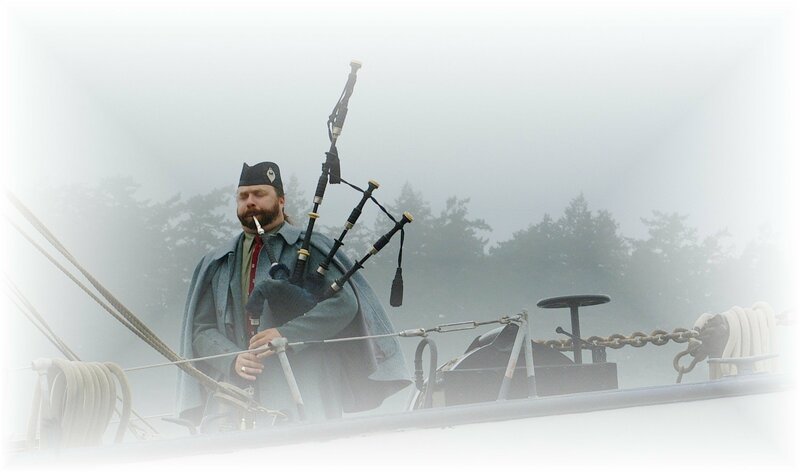 Growing up playing my Grandfather’s bagpipe, I perform, teach and compose bagpipe music in the Northwest and beyond – full-time for 25 years. And, in an utter surprise to me, I won the World Solo Amateur Championship in Glasgow in 2009. Every performance is my only performance. Every student is my only student, and every composition is my only composition. To accommodate different performance spaces, I have prepared 10 different volume-ranging bagpipes for spaces tiny to extra-large. 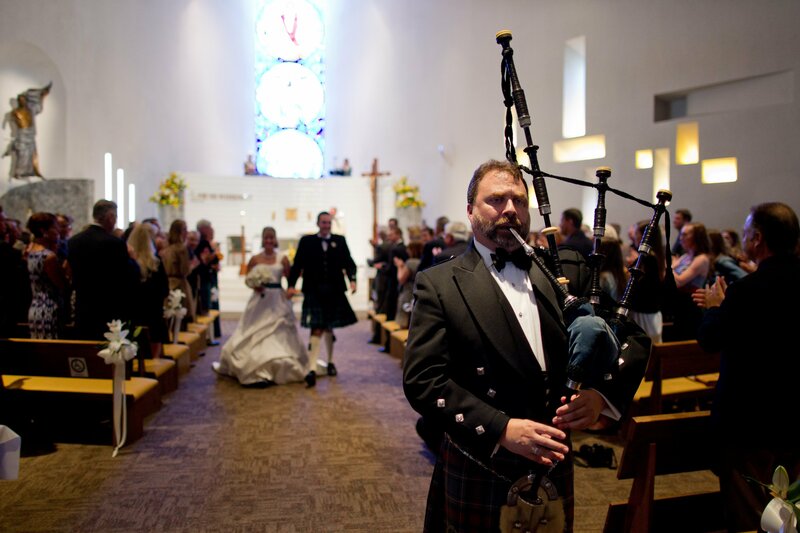 Since 1992 I’ve taught bagpipe music — to women, men, to the young, very young and not-so-young. I teach in person and with my advanced Skype studio in Seattle. 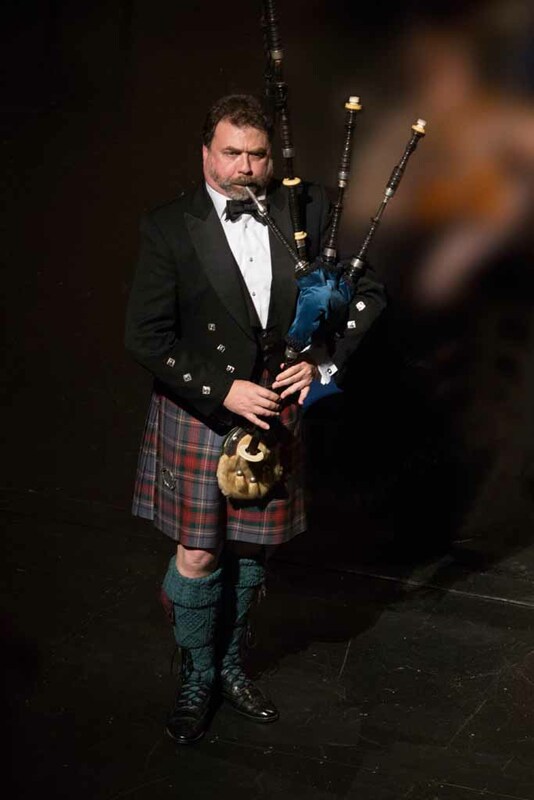 I’m no stranger to the hot seat either — “The best musicians continue to learn,” and in 1997 I was given the chance to create my own ‘Continuing Education’, and created curriculum and framework that has brought the World’s top Double Gold Medalists annual to Puget Sound for what became the Mastery of Scottish Arts piping program. Since 1998, we bring the best of the top Gold Medalists worldwide, 8-10 of them annually, to teach me and 75 other bagpipe musicians at the Winter School. It’s become a wonderful thing, and a ‘hot seat’ for me to work hard throughout the year to satisfy these Best of the Best instructors. And finally, Thank You for finding me here. 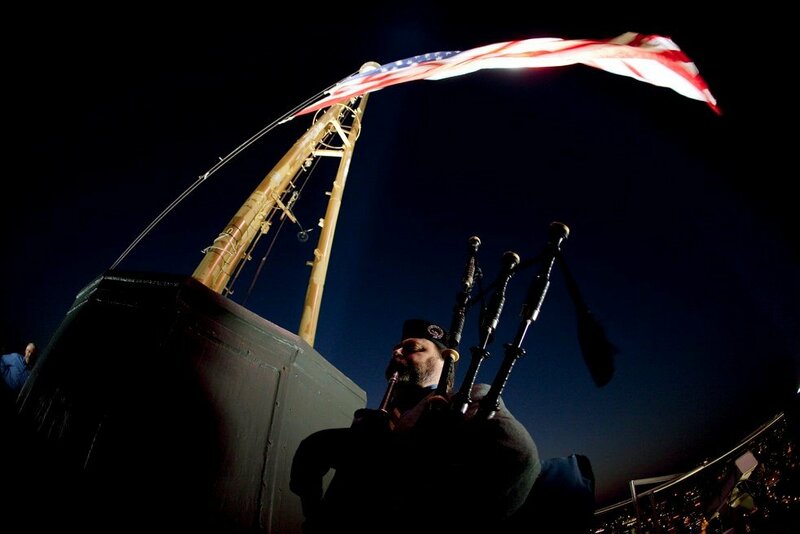 More detail about my background, including non-profit bagpipe volunteerism, performances of note, awards etc., is all here. If you would like, the ‘behind the curtain’ view, my Blog is here too (selected by Feedspot as one of the Top 30 Bagpipe Blogs on the web). 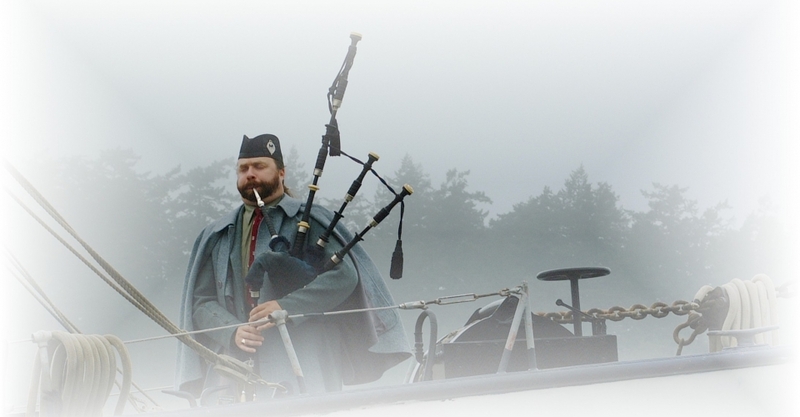 High resolution videos — Highland bagpipe, Great Scottish Small pipe, and another Small pipe. 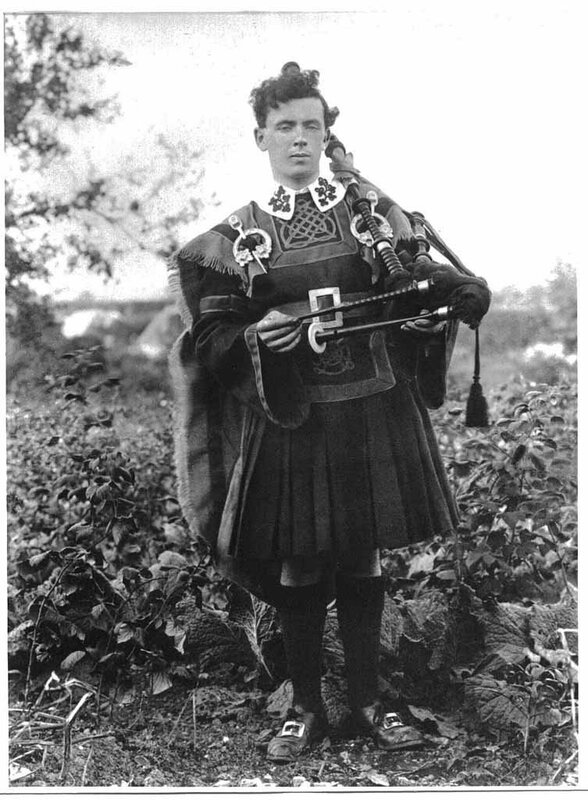 My grandfather with ca 1900 Lawrie ‘War Pipes. Grandmother gave me his instrument & uniform when I was 9, he passed when I was 4.